The father of murdered landscape architect Joanna Yeates has spoken of his relief that his daughter's body has been found. 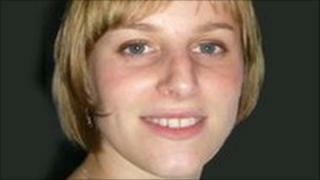 The snow-covered body of the 25-year-old was discovered in Longwood Lane, in Failand near Bristol, on Christmas Day. A post-mortem examination found she had been strangled. Ms Yeates' father David, said: "I fear whoever has done this will never hand themselves in but we live in hope the police will catch who is responsible." He added that hearing his daughter had been murdered was not a surprise "because we had been told to prepare for the worst". Detective Chief Inspector Phil Jones told a news conference earlier that the post-mortem results had shown she had been dead for "several days before being discovered". "The investigation is now a murder investigation, " he said. "The post-mortem examination has taken longer than usual, due to the frozen condition of her body. "The cause of death was compression of the neck - in other words, strangulation." He appealed for further information to help the investigation and said they were keeping an open mind as to whether the killer was known to Ms Yeates. Her father and mother Teresa, her brother Chris and boyfriend Greg Reardon have visited the scene near Long Ashton Golf Club where her body was found. Speaking from the family's Hampshire home, Mr Yeates said: "Since hearing about her death all sorts of things have been running through our mind and we are trying to rationalise what has happened. "Last week was the worst of our lives and we are hoping that we will never have to go through anything like this again." He added: "Things were made just that little bit less terrible when we saw Jo's body yesterday. "It was a relief to see her again - we just said: 'Welcome back.'" Speaking at the news conference Mr Jones appealed for anyone with information to come forward and help detectives. "Somebody out there is holding the vital piece of information we need to provide Joanna's family with the answers they need and they want," he said. Police have confirmed that Ms Yeates' boyfriend, 27-year-old Mr Reardon, was being treated as a witness and not a suspect. He was in Sheffield visiting family for the weekend and reported her missing to police when he returned home two days later. Ms Yeates is thought to have returned to the flat she shared with him on the evening of 17 December. Her keys, mobile phone, purse and coat had been left behind at their flat. Forensic examiners said there was no sign of a forced entry or a struggle at the flat.